Catalunya is a premier destination for a sport climbing holiday in the sun. Most climbers already know this, but how do you find your way to the crag ? This page provides you with the information you need not to get lost on the winding mountain roads. 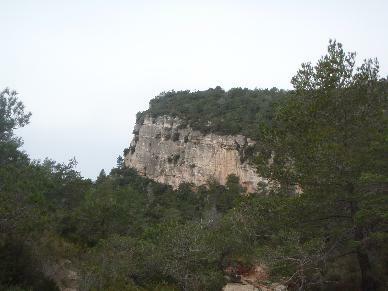 The purpose of this page is to collect and distribute GPS coordinates for the best rockclimbing spots in Catalunya. If you have the coordinates to crags that aren't included on this page or if you find any errors in the existing positions, please email your update to: rockclimbing@gaiafix.com so that we can publish them.